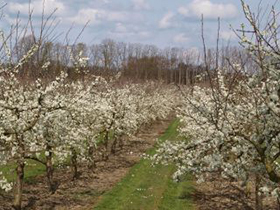 New Cross Fruit Farm has been a specialist fruit farm run by the Hebditch family since 1948. William and Liz are the second generation here. We farm 170 acres atop the first range of hills south of the Somerset Levels, and our deep and fertile sandy clay loam allows us to grow a range of fruits and asparagus. We run a small farm gate outlet during the picking season and you can also buy and try our produce at numerous independent retailers and restaurants throughout the south west. William and Liz pride themselves on growing the best quality produce, all picked and packed by hand on site. We grow a wide variety of produce and love to see old and new faces alike enjoying the fruits of our labour.